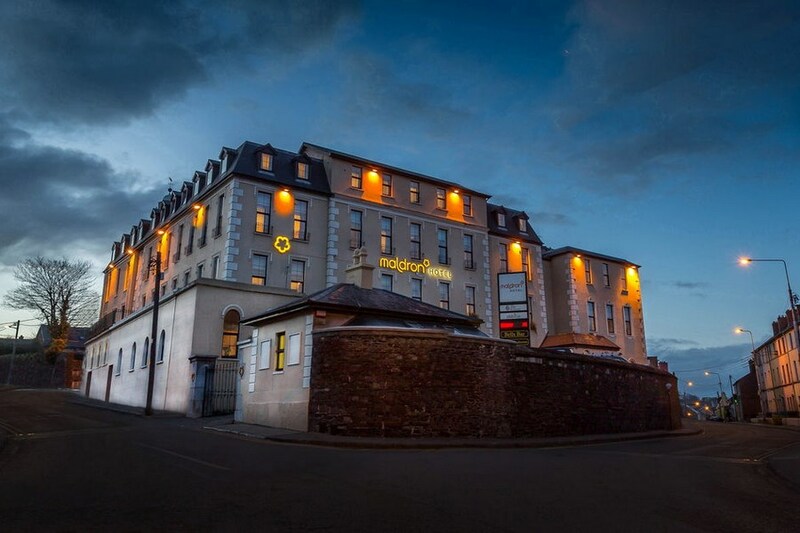 The Maldron Hotel Shandon Cork is located in the heart of Cork's historic cultural quarter, by the famous Shandon Bells and on the doorstep of Cork's newest premier shopping district, Opera Lane and Cork's main thoroughfare, St Patrick's Street. Offering comfortable and luxurious 3 star accommodation in Cork City Centre, combined with efficient friendly service from our renowned staff and affordable prices, your stay with us will be unforgettable. Full access to Club Vitae Leisure Club is included for all guests. The Hotel is on John Redmond Street Cork. There is limited car parking at the hotel. The hotel is the perfect location in the heart of Cork City to see all cork has to offer. Excellent hotel.! Very friendly staff and very accommodating. Beautiful rooms and a lovely breakfast is provided in a very tranquil quaint atmosphere within the dining room. i will certainly be back again.! We really enjoyed the stay. Very central and would come back. Staff were very friendly especially in the breakfast room. The bar could do some with background music. What a nice hotel, bright, spacious, so clean, spacious rooms with high ceilings & loads of light from the big windows, very comfortable beds, a stroll & you're right in the heart of the city, would benefit from a little more parking, but that aside, I would highly recommend this hotel & will definitely being staying again. I enjoyed my stay here, the location is excellent, breakfast is superb. But I didn't spend much time in the room as Cork City is just a walk away. Would recommend this hotel to anyone and look forward to coming back again, hopefully soon! Great location, high quality rooms, nice decor, friendly service. Only negative is parking, it's very limited and very tight spaces. We had a fantastic overnight stay in the Maldron in Cork. Such a super location, just as advertised. Staff so friendly and facilities were great. Will definitely stay again and have already recommended it to friends. VERY CENTRAL, WITHIN WALKING DISTANCE OF CITY CENTRE. FOOD EXCELLENT WITH FAST SERVICE. BREAKFAST OF HIGH QUALITY WITH FANTASTIC SERVICE FROM THE STAFF, WITH A WORD FOR EVERYBODY.PARKING IS A BIT OF A HIT AND MISS. BEDROOMS ARE GOOD VALUE AT PRICE.WILL RETURN. Great location, lovely staff and very good breakfast! We enjoyed our stay here, the location is excellent, breakfast is superb! Our only niggle was that our hotel room looked out onto the corridor across and therefore we had to keep the curtains closed at all times for privacy, but we didn't spend much time in the room as Cork city is bustling. Would recommend this hotel to anyone and look forward to coming back again, hopefully soon! We stayed in the Maldron for two nights, it was a very enjoyable experience. The Staff were very friendly and helpful, the room had a fantastic view of Shandon and was very clean and bright. Lovely stay. Hotel is modern, clean and comfortable. Very good facilities, friendly & accommodating staff and good food. Location is walking distance to everything in Cork City. Note that there is limited parking onsite. Would definitely stay there again. Excellent location the staff were very friendly and efficient.There was a problem with our original room but we were given an alternative room immediately . I would highly recommend this hotel and will definitely stay here again. Stayed at the Maldron with my husband and 2 children on the 6th December, the hotel was excellent and in a great location within walking distance to the City. The hotel bedroom was spacious and in excellent condition and the hotel staff most friendly and helpful. I would highly recommend the Maldron Hotel! The location of this hotel was excellent, very close to everything, however parking was an slight issue with very little parking at the hotel. I found the service very good and overall it was great value. I would only say that the hotel room was a little cold when we arrived but it warmed up. Stayed here with my husband and teenage sons. Booked two rooms a twin room and a double room, have to say both rooms were lovely. We had a meal that evening and breakfast the following morning the food was really nice and great value. All the staff we met were very friendly. Will definitely go going back in the future. Hotel is in a great position for shopping in town or a visit to the Cork Opera House . Rooms were beautiful and staff were very friendly, would recommend this hotel to friends and family. STAFF FRIENDLY,ROOMS VERY GOOD,BAR FOOD AND BREAKFAST,REASONABLY GOOD,COULD DO WITH SOME EVENING MUSIC IN THE BAR,LEISURE CENTRE VERY GOOD. We had a really good time, We have been there before will in all probability go again. The staff are friendly & helpful & the service is very good. The only thing that would be helpful is if the number of parking spaces could be increased at the hotel itself. This is a 3 star Hotel it was my second stay here with my wife on a two night break to Cork City location good only 5/10 mins to city center ,Staff were very helpful and friendly,We were in room 408 no view but room large and clean great showers ,Dining area re done looked nice and clean very good breakfast nice selection of Cereals,Fruit Breads and lovely cooked breakfast good service from staff will stay here again. Had two stays in the Maldron recently, the hotel is only 5 mins from the city, yet its a quite location. The staff are very help full and friendly. We had a large clean room. The food lets the Maldron down big time, the breakfast tastes like it was cooked two days previous, we had dinner two nights and the food was awful. I will stay there again but will dine out next time . Hi My daughter and I stayed there in Sept. The hotel was difficult to find, parking was also limited. I had to park on the street. The hotel is shabby and needs upgrade. Food in bar was good but breakfast was very poor and limited choices. The hotel staff were very helpful, friendly and professional. The location of the hotel is really great, it is only a ten minutes walk into the city centre. The hotel itself is very old fashioned and could do with a make over. Carpets are dirty, pool area has seen better days. Well, if there would be any hot water in the morning it wouldn't be too bad... The breakfast selection is extremely poor. location was perfect, staff very pleasant and helpful, had use of leisure club, free wifi,,i thought the furniture was out dated, we would certainly stay there again, very good value price wise. stayed one night 29/5/2014 the price was very reasonable. the meal included in the price was delicious. the girl that took the order was very helpful with our requests. the staff were very friendly. on the minus side, the room was overlooking a roof on one side. the other side was the city with not a very pleasant view. the room was very small for two people. very noisy during the day due to the traffic. would not stay there again. We stayed in the maldron on 22/05/2014, hotel staff were very nice and friendly. We were in a small attic style room the bed was not very comfortable the furniture very old and badly marked and in dire need of a change to update the room the carpet was very stained even though it was non smoking room there we're burn marks on the carpet. We ate in the restaurant and the food was great. The hotel overall needs a complete makeover as there is a lot of unnecessary cosmetic damage like broken tiles etc. thing that would be easy to fix. I don't think I would stay there again. 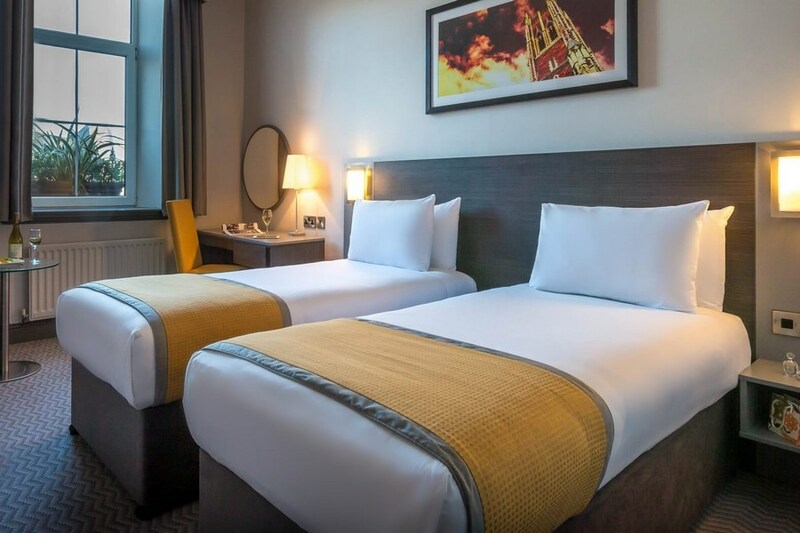 We enjoyed our stay in the Maldron Hotel.The rooms are lovely and very clean.The menu is very good and the food is excellent.The staff are very efficient and friendly.The hotel is very central to the city centre and shopping. We would stay there again. 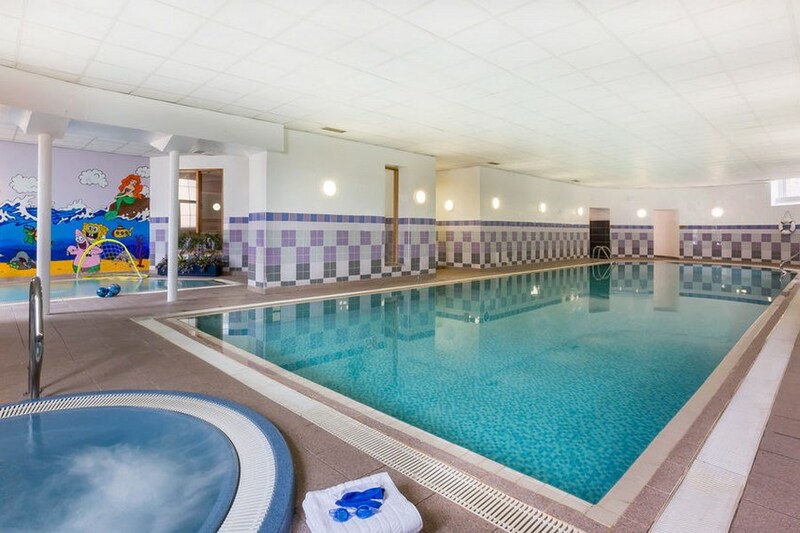 Have stayed in the Maldron hotel many times.Have never been disappointed.Kids love the swimming pool.The rooms are lovely and very clean.The bar menu is very good and the food is excellent.The staff are very friendly.The hotel is very central to the city,about a 2 min walk and your in the city centre.Will be back again. We stayed one night and were very satisfied with our room and the breakfast. The hotel is very convenient for the city centre and the shops. Great to have free parking as well. Will come again. Was really pleased with our stay. Rooms clean and comfortable. Dinner excellent. Breakfast very good. Staff lovely and helpful. Central location. Excellent value. Will definately stay there again. Thank you. Staff really friendly and very helpful, food was delicious, and room cosy. The only downside was that I thought that the changing rooms in the leisure centre were a little grubby, but the pool was great! We travelled by bus and the hotel was only a short distance away and very convenient for the town. Unfortunately when we arrived the hotel hadn't our booking. Denis on reception found alternative accommodation in the Montenotte for 1 night. He also organised one of the staff to guide us directly to this hotel as it is quite confusing to navigate Cork city. Our deal was for b&b & dinner for 2 adults and as an apology the Maldron gave us the same for our child for both nights and of course covered the costs in the Montenotte where we had an Excellent evening meal and enjoyed the leisure centre. Our preference would have been to remain in this hotel but we had to return to the Maldron for our last night. We were not disappointed with our stay there where we had a lovely room with a view of the Shandon church and enjoyed the leisure centre and meals. The friendliness and professionalism of the staff in both hotels was top notch but particularly the Maldron which I felt was more child friendly. The Maldron is also within a comfortable walking distance of Cork city and I would recommend it. Our arrival was greeted with very friendly staff at the reception desk this followed through the hotel from the restaurant to the leisure centre. The bedroom was comfortable but could do with an updating. The food was beautiful and great value in both the restaurant and the Bells Bar. It is a pity the car park is not bigger. The proximity to the city centre is super just a 10 min walk away. We definitely will stay again. Very good hotel,not ur usual generic stuff,very Friendly staff,parking in the hotel in pretty poor Doh,not enough car park spaces !! Average 3 star hotel. The restaurant staff were distracted by a large tour group and a little dismissive at dinner. The waitress supervising breakfast was rude. The hotel itself was clean. The leisure receptionist was very friendly and helpful. The swimming pool was nice. Smell of mold from steam room was concerning, I do not believe mold spores are a health benefit! My wife and I stayed here for a weekend break and thoroughly enjoyed our stay. The city centre is only a few minutes walk away for shopping, restaurants and great nightlife. We had a double room which we found large and spacious with a comfy bed, Breakfast was lovely with a wide choice We would definitely stay again. The hotel itself is conveniently located near the city center. Room was clean and more than adequate for the price I paid, and staff were professional and diligent. We could use the leisure center facilities (pool, sauna, jacuzzi, etc.) for free as well, which was a plus. Only low point was the quality of breakfast. Sausages were thin and fairly tasteless, and "juice" was coloured water coming out of a machine. So definitely room for improvement there. Other than that, I wouldn't have an issue staying at the Maldron again.